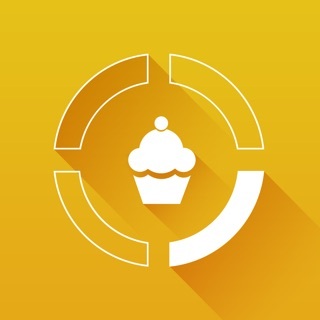 Contains the largest OFFLINE food database of any iPhone calorie counter (over 500,000 foods). Perfect for both, iPod Touch and iPhone users! -Recommended by the NY TIMES! -Featured by "HARVARD HEALTH PUBLICATIONS" in an article about highest-rated health apps. 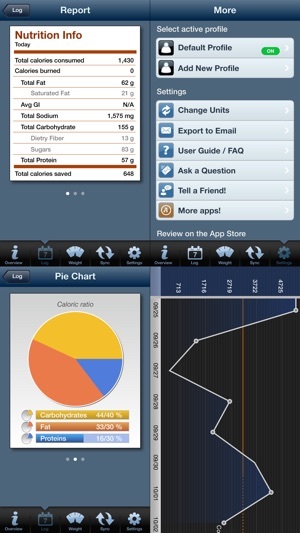 -The only OFFLINE calorie counter that allows you and your partner to track calories on the single iPhone/iPod! -Over 15,000 great user reviews! Love love love it! 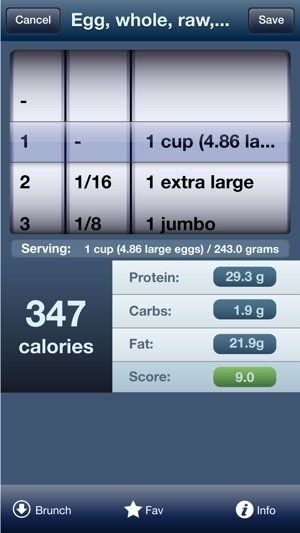 I have used 4 or 5 food tracking apps and this one is my fav by far! I've tried ton of tracking apps and they all basically do the same thing. This app one ups the competition with a GREAT DATABASE! 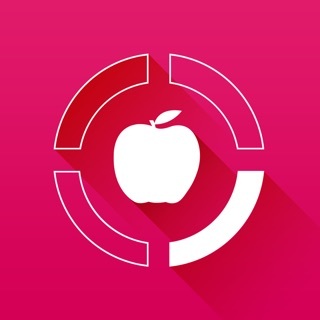 Tap & Track implements Apple's philosophy of simplicity but at the same time offers hundreds of amazing features that you'll love to use every day. The app never requires internet access, so you can keep track anytime, anywhere! - The only calorie counter that works offline! - View nutrition data: calories, protein, carbohydrate, fat (and saturated fat), fiber, sodium, sugar. - Pick, add, edit and resort predefined exercise list. - Select between three different exercise intensities. 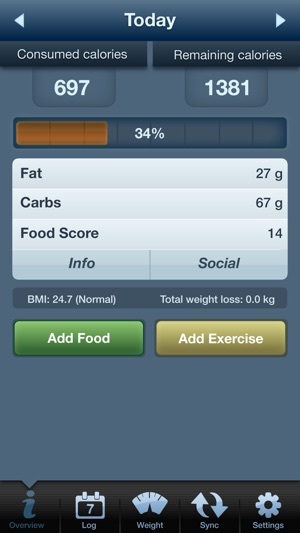 - View average consumed calories and other nutrition info by user defined period. The Tap & Track will allow you to keep track on your calorie by calculating your Basal Metabolic Rate (BMR) and finding the daily calorie needs of your body based on your gender, age, weight and height. 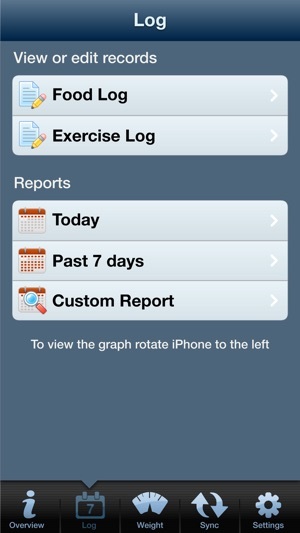 The application features can be divided into 4 parts; Food, Exercise, Weight and Reports. You will find the app very easy and pleasant to use. It seems like the update has ruined the search-as-you-type function such that it doesn't allow you to find common foods anymore. To solve this, you need to turn off the search-as-you-type function and all will be fixed. You can find this under settings. This will solve the problem of being unable to find regular foods. My biggest problem with the new version is that it now looks wonky on my screen as opposed to the way it was before. But I'll keep using this for the functionality and because I have 5 years of data on it. Sure it's not as fancy as MFP or Lose It, and sure it could do with updates to the food database at least once a year, but it's pretty solid and works offline and generates cool graphs and trend data. I hope you will consider updating the app. According to a system message, it will not be supported in iOS 11 and, per a previous message, isn't fully supported in iOS 10. 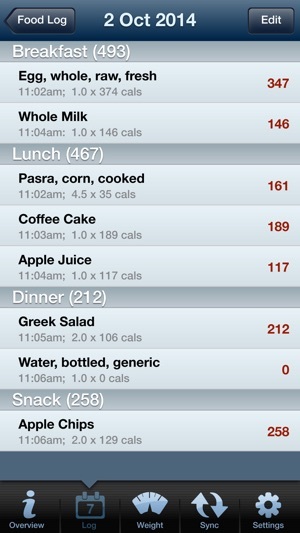 This is, by far, the best app I've found for tracking calories in, calories out, and weight. I love the clean design where it isn't cluttered by all sorts of things I don't care about. I just installed an app I have heard great things about, MyFitnessPal, to see if it would work for me, and it is super bloated and full of prompts and all sorts of extraneous stuff. I just want a -simple- and -clean- app to log my progress. I don't want community interface, articles, ads, etc. Tap&Track has been perfect for me, even though the food database doesn't always have what I need since I can just plug in custom numbers that are at least in the ballpark, and if it isn't brought current, I'm going to miss it. OK. Now I'll rate it at a five again. Now that they fixed the "update". I'll be more careful about when I hit update in future. This is the best calorie counter. Only concern is they might be giving too many burned calories for exercices. After all you burn calories doing nothing and you burn more when you exercise but you have to subtract the doing nothing ones from the exercise ones and I don't think they do it in the app, so you end up giving yourself more credit for exercices than you really earned, double dipping so to speak, and if you eat up to calories burned you could hose yourself on weight loss. I count lowest effort and only credit myself half. I asked once but did not get clear answer about it which is why I don't think they subtract resting calories you'd use anyway from exercise calories. Otherwise I love it.